The Piano Sandbox is a testing environment that allows you to view what your Piano implementation will look like without transacting real money. The Sandbox is a completely separate account from your Piano account, and is used for testing purposes only. It is an exact replica of your Piano Dashboard, but the two are completely unrelated. You can tell that you are using the Sandbox by seeing the “Sandbox” banner in the top right corner of your Sandbox dashboard. You will be able to reset your Sandbox password, but outside of that, the Sandbox does not generate any emails. If you would like to use the Sandbox with the WordPress plugin, then you will need to copy-paste the Paywall ID found in the Sandbox account, and place it into the “Sandbox Paywall ID” field on the paywall tab. Make sure that you have selected Sandbox environment in the General settings of the WordPress plugin. 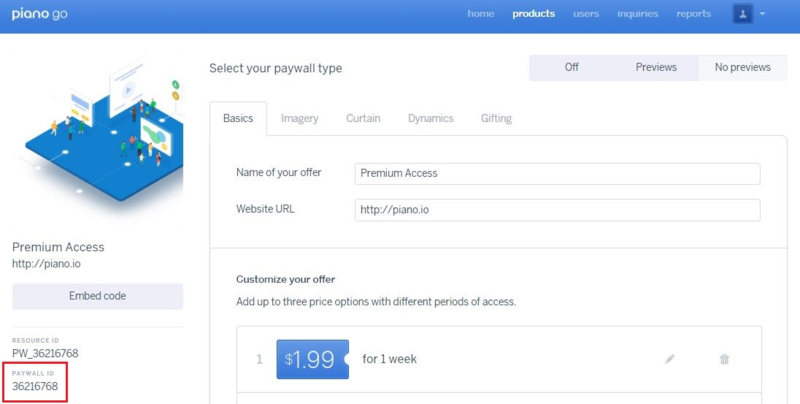 Your Paywall ID can be found on the left hand side of the Paywall Management screen.